Thank you for signing up for Bronco Books. Please have your textbooks ready during the designated window of your Bronco Storage pickup. Make sure you have all of your books undamaged and in a returnable condition set by the Santa Clara University bookstore. If any issues arise with the condition of your textbooks, you will be notified the day of by a Bronco Student Services employee. We'll email you shortly to confirm a 30-minute window within the time you requested. Please make sure you have all of your books undamaged and in a returnable condition set by the Santa Clara University bookstore. If any issues arise with the condition of your textbooks, you will be notified the day of by a Bronco Student Services employee. 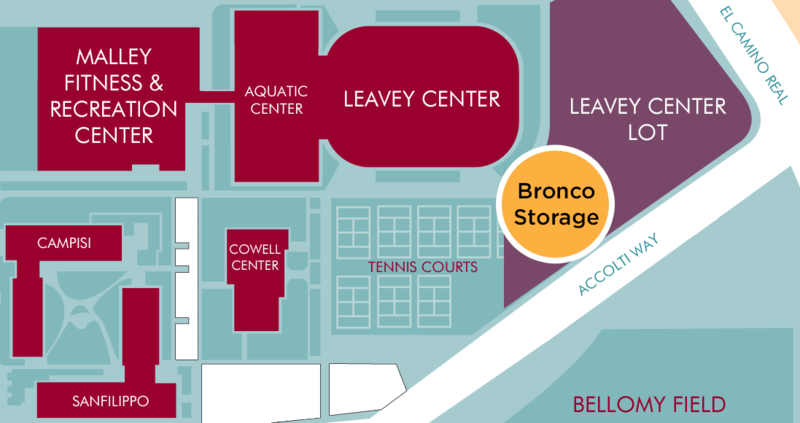 You can drop off your textbooks at our table at Leavey when you drop off your storage during the hours below. Have any questions or concerns? Feel free to contact us at support@broncoss.com.